Hi all! 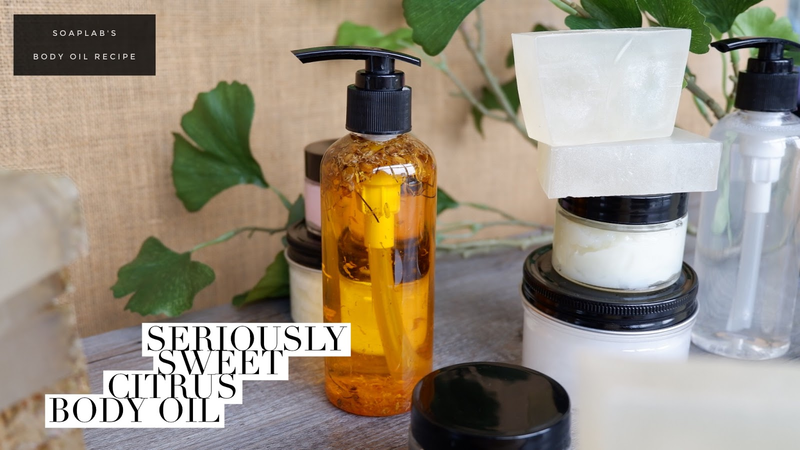 Today's recipe is for the Seriously Sweet Pregnancy Body Oil. A body oil works similarly to a lotion where it moisturises your skin and gives it a radiant glow. The body oil is a blend of jojoba oil and rose hip oil with aloe and green tea extracts. Jojoba oil helps to maintain skin tone and elasticity and also works as a moisturizer. Rose hip oil which is high in antioxidants as well as vitamins, helps with the skins ability to produce new skin cells. This reduces the patchiness of the skin. The vitamin rich aloe extract helps improve blood circulation giving a therapeutic effect. Green tea extract relieves inflammation of the skin and leaves your skin with a healthy glow. Finally, add mandarin lime fragrance oil for a refreshing smell. This body oil will be a great aid during your pregnancy, keeping you relaxed and happy. Get your hubby to give you a nice soothing message daily so baby and mommy are happy throughout the pregnancy!